Sir Lionel Frost (Hugh Jackman) is an adventurer with a peculiar focus. He hunts out the strange and unusual creatures of the world, those relegated to legends, in an attempt to prove that they exist. That activity, however, has squandered his family fortune and left him the laughing stock of the polite society of the esteemed Adventurer’s Club in London. When Frost receives an unusual letter, he sets off to discover a Sasquatch, the so-called missing link (Zach Galifianakis), but soon finds himself on a dangerous quest in search of the lost city of Shangri-La, to find the relatives of his newfound cryptid friend. 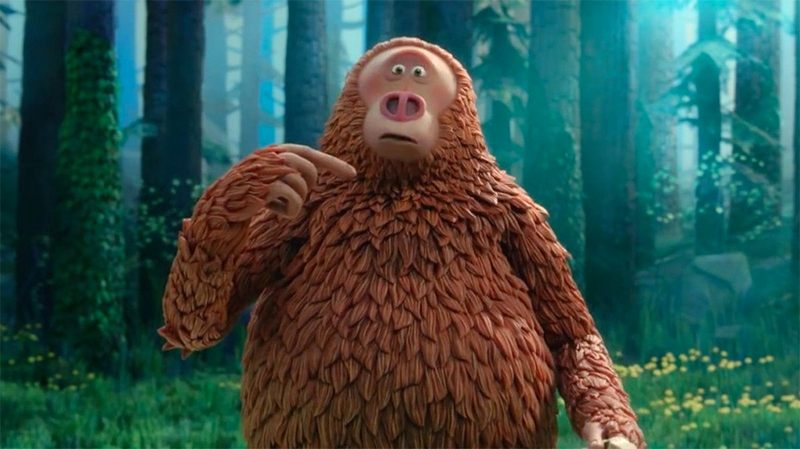 As expected from stop-motion animation studio Laika, Missing Link is a feast of animation, combining traditional and computer techniques into something wondrously special. Their large sets and attention to detail allow the studio to produce some incredibly clean and imaginative sequences, bringing the era and the exotic locations to vivid life. Furthermore, this precise execution bleeds into the action sequences, that are both imaginative and smoothly executed. One sequence in a passenger liner manages to combine the best elements of The Poseidon Adventure (1972) and the hallway fight of Inception (2010) into one jaw-dropping scene. It’s ambitious animated filmmaking, and it certainly pays off. The story is equally ambitious, as the script manages to skewer not merely colonialism, but the intractability and hypocrisy of conservatism. It’s an obvious target in this day and age, but one Missing Link manages to bring some nuance to as it questions the motivations of its central characters. Are Frost’s attempts to challenge the status quo altruistically motivated, or attempts merely to gain access to that exclusive club? (Literally in this case, as the corridors of power in the late Victorian/ early Edwardian period often lead through such social circles.) It’s a script filled with such clever observations, and slight plays against expectations, making it a joy to watch. The downside is that perhaps Missing Link is too effective in playing at this slightly intellectual basis, and perhaps less effective at engaging an emotional reaction. As a film it’s beautiful, engaging and witty, but fails a little in delivering an emotional gut punch. While that’s not a deal breaker, it does stop Missing Link from rising to the heights of Laika’s previous work Kubo and the Two Strings. Jackman, however, is a superlative vocal match for a rakish gentleman adventurer, bringing charm and a cavalier manner to the role. Zach Galifianakis is working through a tougher role, having to supply much of the younger humour, while still creating some emotional depth to the cryptid character. It’s a balance he doesn’t always achieve, but it works overall. Zoe Saldana as the Adelina Fortnight, the widow of a college of Frost, is given less of a chance to shine, with her role being relegated to support, but still gets a couple of great lines in. A beautiful and witty piece, that shows traditional stop motion techniques can deliver extraordinary results.